Check out these adoption success stories. Congratulations to our adoptive families. Can you imagine adopting seven siblings, ages three through nine? That’s what one Hamilton County family did. The husband and wife were foster parents for 20 years. 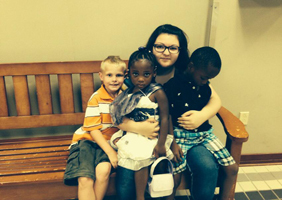 They said they felt called to foster children, but had no intention of adopting. Read about Neveah’s adoption story here. 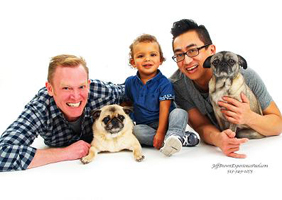 Dwayne and Ethan were foster parents to Camden from when he was only 1 week old. He was their first foster-placement and may not be their last. Camden is an outgoing toddler. Ethan describes him as a “social butterfly,” and the family cannot be happier they were able to finalize the adoption. 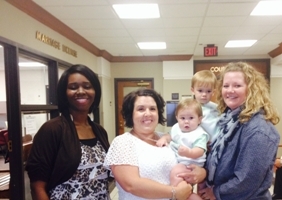 Read more about Camden’s adoption story here. Sasha is the most recent addition to the Mohammad family. This pretty little girl joins her biological brother Maleek (right), and adoptive siblings Gage (left) and Hannah (back). Sasha has been with their family since she was born prematurely and has been raised in a large, loving family. Read more about Sasha’s adoption story here. Zion was born with severe needs as a child and needed more than his grandparents could give him at the time. They visited with him and remained a consistent part of his life until they were able to take him in and care for him full time. HCJFS caseworkers say this is a successful kinship adoption and that they’ve never seen Zion “happy” like this more. Read more about Zion’s adoption here. Sisters Jazzy and Ruby were adopted by a couple from Loveland who have fostered for 18 years. Jazzy has been with them since she was 4 days old and Ruby joined the family a week after she was born. 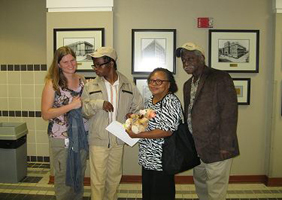 Long-time foster parents, Derrell and Linda were ecstatic to finally adopt. 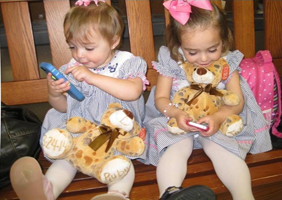 When these two girls entered their home, they knew it was a right fit. Read more about Jazzy and Ruby here. Leah and Michael adopted Brayden shortly after adopting his brother Colton. He was placed into their care at just 2 days old. Brayden joins his brother and Lean and Michael’s five other biological children. 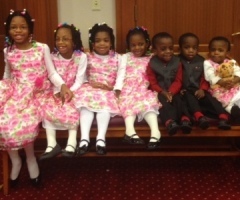 Even with seven kids, Leah still firmly believes they will continue to foster new children. Read about Brayden’s adoption here.